Basel: US Open champion Stan Wawrinka ended a four-match Swiss Indoors losing streak on Tuesday as he saved face for seeds on a day of first-round upsets. The three-time Grand Slam winner, who claimed the Flushing Meadows crown two months ago, overcame local wildcard Marco Chiudinelli 6-7 (1/7), 6-1, 6-4 in struggle lasting two and a half hours. 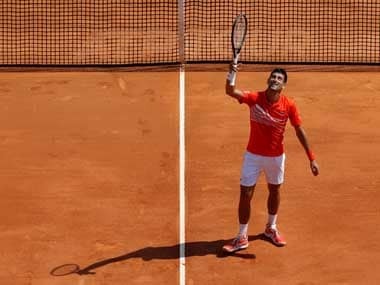 He needed five match points to reach the second round, clinching victory with a 16th ace in a match where he struck more than 35 unforced errors. 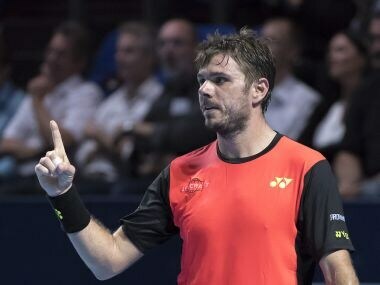 Wawrinka had lost at the last four Basel editions in the first round; he has never passed the semifinals in a dozen previous appearances. While Wawrinka squeezed through, a pair of seeds made opening exits at an event missing both Roger Federer and Rafael Nadal through injury. Lithuanian qualifier Richard Berankis stunned second seed Milos Raonic 3-6, 6-3, 6-3, while Luxembourg's Gilles Muller beat sixth seed Grigor Dimitrov 6-7 (9/11), 6-4, 6-4. Wawrinka admitted he was relieved to have sneaked past Chiudinelli, an ATP journeyman ranked 119 and childhood friend of fellow Basel native Federer. "It was a tough physical and mental battle," Wawrinka said. "It was a huge fight with Marco, he was playing at home and had the crowd on his side. "It was so tough to beat him here. He played great and I had to fight, I needed to work hard to find a winning solution. 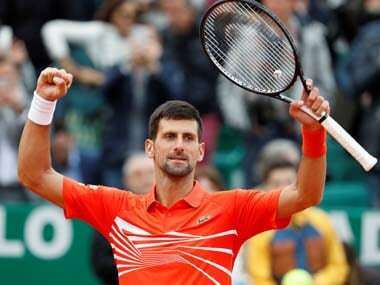 "The third set was so tight, I'm just very content to get past the first round. I'll prepare for Thursday and hope to go further in the tournament. The most important thing was to win this match." Berankis scored a second career victory over Raonic, who qualified for next month's eight-man season finale in London. 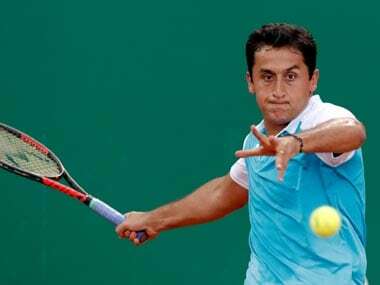 "Playing the qualifying rally helped me for sure," said Berankis, ranked 91 in the world. "My recent results have not been the best. 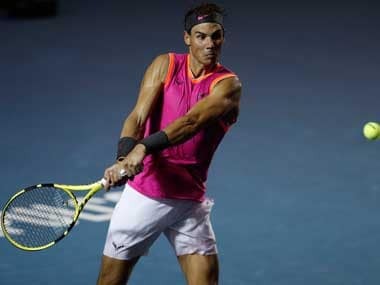 "I was worried about dropping from the top 100, which would have meant no direct entry to the Australian Open. "But I got some confidence from qualifying, that's good when you step on to the court against a top five player. I'm really happy with how I performed today." Muller unleashed 17 aces against Dimitrov, produced 44 winners and broke three times against in his upset win over Dimitrov, the world-ranked 18 from Bulgaria. Muller, 37th in the world, pulled ahead of Dimitrov 3-2 in their career series as he avenged a January semi-final loss in Sydney. In other matches, Marcel Granollers beat Swiss Henri Laaksonen 6-3, 3-6, 6-2, Italy's Paolo Lorenzi put out Nicolas Mahut 6-4, 7-6 (7-4) and German Florian Mayer defeated Frenchman Benoit Paire 6-1, 6-7 (2-7), 6-4.